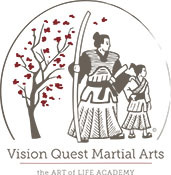 Vision Quest Martial Arts is excited to provide birthday parties and other special events on Saturday afternoons or evenings! If you think our instructors are great in class, wait until you seem them at a party! 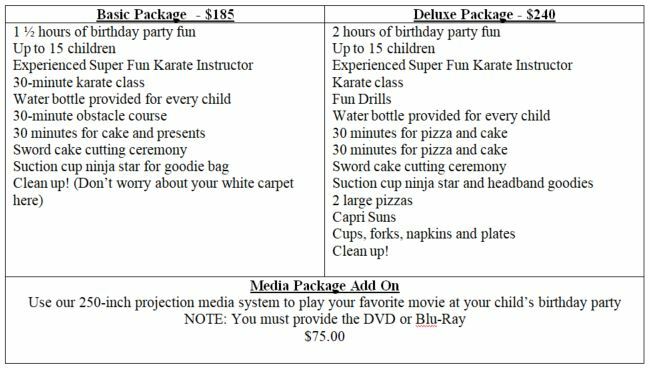 Parties include a special class, drills obstacle course, karate headbands, pizza, juice and the Karate cake cutting ceremony, during which the special birthday boy or girl cuts their cake with a Samurai sword! We also offer an invitation service: we will print and send out custom Vision Quest invitations to all your guests. Just provide us the guest list and relax knowing you are in capable and experienced hands. A special karate party will create memories for years to come! These parties will enable your child to share the karate experience with friends and family in a fun and safe environment. Please call a month ahead to reserve your spot; times and availability are limited. $49.00 is needed to reserve your date and time. We look forward to hearing from you!